You probably know that Advanced Energy® (AE) is a Rockwell Automation® Encompass Partner™. 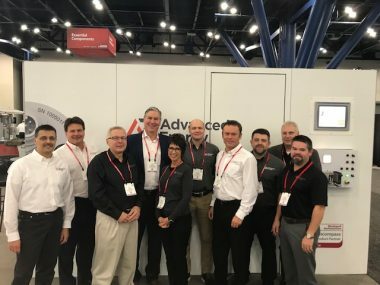 Each year, Rockwell Automation sponsors Automation Fair, which provides an opportunity for their customers, distributors, and Encompass Partners to see new products, discuss industry trends, get training in break-outs and workshops, and network with solution providers from the around the US. 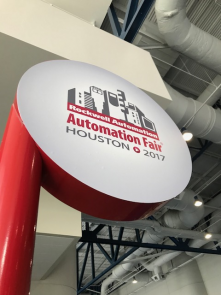 I traveled to Houston last week for the 26th annual Automation Fair and spent three days trying to take it all in. Not an easy task! In fact, a full accounting of what I saw would push the length of this post well beyond most reader’s attention span, so I’ll narrow the subject matter to key industry trends and a few unusual exhibits. Let’s start with manufacturing and process industries. Digital transformation is making an initial impact that will be felt forever. The Internet of Things, and its close cousin the Industrial Internet of Things (IIoT), is starting to drive next-generation industrial automation, often referred to as Industrie 4.0. 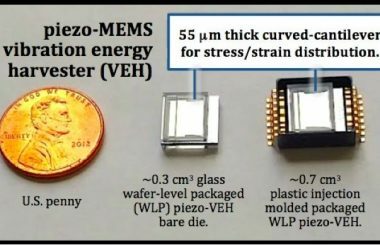 You might think that it will only affect processes with incredibly demanding tolerances, for example semi-conductor fabrication, where even minute errors result in lost product and revenue. 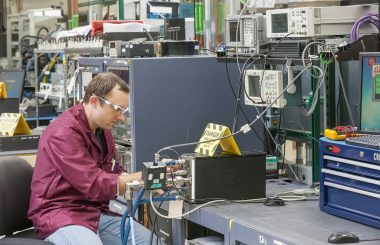 For our part, we are part of Rockwell Automation’s Connected Enterprise program, and we’re able to easily integrate our pyrometers and SCR power controller products using add-on-profiles (AOP.) The AOP enables almost plug-and-plug connectivity of product onto their Ethernet/IP network. Most companies that attend feature new products in their booth. There’s one place where future products are the focus. The Innovations Booth, set up by Rockwell, gives you a look at the company’s product roadmap. That’s bit of a surprise, since companies often don’t want to reveal what is in the product pipeline. This mixed-reality interface enables their customers to “digitally” walk through a complete production process, before any hardware is installed, to review their entire process and learn its performance and eliminate any problems beforehand. By the time real hardware arrives the process is already well understood, which leads to faster implementation. In order to make this happen, each piece of hardware has a “digital twin” which simulates performance and supports build this virtual manufacturing line. 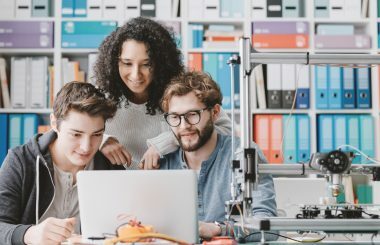 Engineers will soon be immersed in the design and development process at an unprecedented degree, thanks to advanced analytics that transform data into useful information. The cloud has become part of every conversation on where all industries are headed. But is it always the best place for data? Paula Puess, Rockwell’s global market development manager, information solutions, says it depends, that sometimes the analytics need to take place locally, where data is generated, and the actuation occurs. Not moving data also means that it is less vulnerable to hacking and data transport costs are controlled. With all the discussion of big data, cybersecurity and the future of connected enterprises, it’s plausible to imagine that the only important dialogue was around technology. Not so. Rockwell Automation CEO Blake Moret talked about what he sees to be an “existential threat” to industry – the lack of qualified personnel. “Even though we’re an automation company, people remain our most important asset,” he said during a keynote address. “Workforce development is the existential threat to the future of manufacturing,” he added. To that end, Rockwell has created The Academy of Advanced Manufacturing (in partnership with Milwaukee’s Manpower Group) which is chartered to train veterans in manufacturing process control as they transition from military life. When you are wandering the show floor, it’s easy to be so caught up on the sheer volume of solutions being developed and technologies on display that you forget about how much work goes into participating in the Fair. Booth design and construction. Collateral. Transportation logistics. And then long days of meeting customers and exchanging thoughts on their challenges and how new solutions – like our Thyro SCR power controllers – can help solve them. So, here’s a big thank you to everyone at Advanced Energy who made that happen. And thanks to all the people who attended our breakout session, “Advanced Energy: Temperature Management and The Connected Enterprise: Turning Data into Information,” which I presented with my colleague Robb Weeks, a commercial engineer with AE. Finally, if you have not been to an Automation Fair, I would definitely recommend attending. Next years’ show will be in Philadelphia, PA. You can also participate in the smaller shows that occur around the country in different location through the year, called Rockwell Automation on the Move (RAOTM). These are a great way to keep pace of trends in industrial automation. AE will also be at many of these shows, and we look forward to seeing you there. Please stop by and say hi. I currently serve as AE's senior product marketing manager, thermal products.